If not even death can stop a god, what can? Aric may have found a new home and a new family in the desert, but once more, the emperor rears his ugly head. This time his Paladins are coming to seize not only the Guild, but Aric himself. Meanwhile, in the north, as Cassia flees the imperial hounds close on her heels, Fadan seeks the support of a rebellion fragmented by politics and personal interests. However, it is not just the wars of men that threaten the world of Arkhemia. Eliran, on a mission to assassinate Head-Archon Astoreth, discovers that the Circle is in possession of an ancient artifact created by the gods themselves. Winds of war are rising, and in the coming chaos, the Circle’s sinister plans can only blossom. Can they be stopped? Is it already too late? 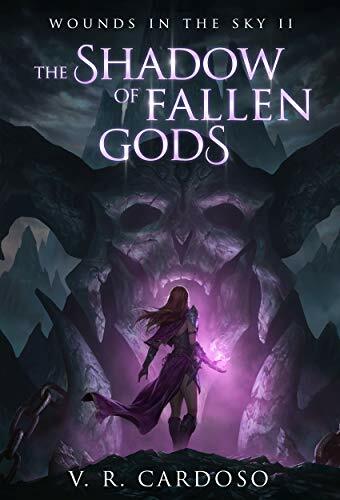 The Shadow of Fallen Gods is the second book in the coming of age, epic fantasy series, Wounds in the Sky. Pre-order now and dive back into Aric and Fadan’s rivetting adventure the moment the book releases in March 21st. But dark forces are moving in the shadows. Tragedy and conspiracy send Aric and Fadan to either end of the Empire, one to train as a Dragon Hunter, the other tapping into magical powers that could spell his execution. In a world of dark mages, fearsome dragons, and vengeful gods, only friendship, loyalty, and love can keep the brothers from meeting their doom. The Dragon Hunter and the Mage is the first book in a series of coming of age epic fantasy novels. 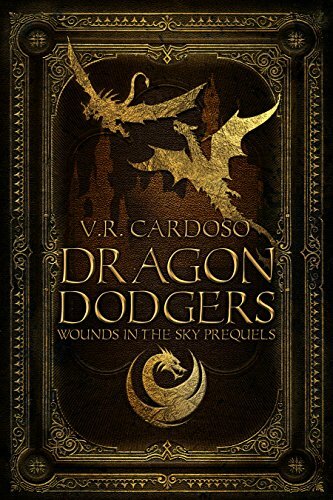 If you like fast-moving plots, magical world building, and political intrigue, then you'll love V. R. Cardoso’s spellbinding tale. 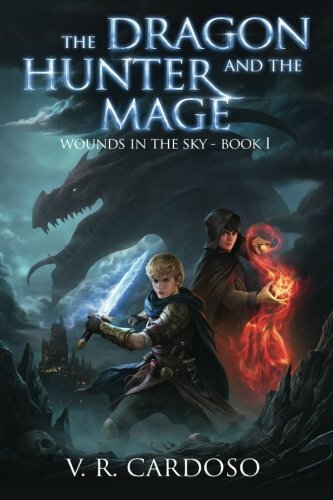 Buy The Dragon Hunter and the Mage and start the magical adventure today! Dragons rule the land and mankind hides underground. Only a brave few dare to cross the great outdoors – Surface Runners. Enrig of Saggad longs to leave his underground home, seeking adventure and freedom on the surface, far away from the caves of his youth and the reprimands of his addled mother. Joining the Watch seems promising, but what he really dreams of is becoming a Surface Runner, evading Dragons and running across the land for treasure and glory. It is a far flung wish for one as young as he, until a chance encounter lands him in the lap of the Dragon Dodgers, a Company of Surface Runners on a very special mission. Will Enrig be allowed to join them? And if he is, will he find anything other than death?